Our Skin Fit Facials are designed with a specific skin issue or disorder in mind. If you’re suffering from acne, congestion, eczema, dermatitis or other inflammatory skin issue, we have the perfect facial for you. Acne skin requires a bespoke treatment. Your skin may be over-producing oil, or perhaps your skin is bone dry, but you’re still getting acne. Our goals within the acne facial are to reduce inflammation, clear any blockages (we may do extractions if required), reduce post-inflammatory hyperpigmentation and scarring and of course give your skin some love. Eczema skin is delicate and requires care and appropriate treatment and attention to detail. We understand and implement the ‘less-is-more’ approach that eczema requires. This facial will include LED and is recommended for both eczema-prone and when experiencing an eczema flare up. Skin becomes sensitised from a number of factors, including past skincare history, antibiotics (including roaccutane), air conditioning and abrasive skin treatments. 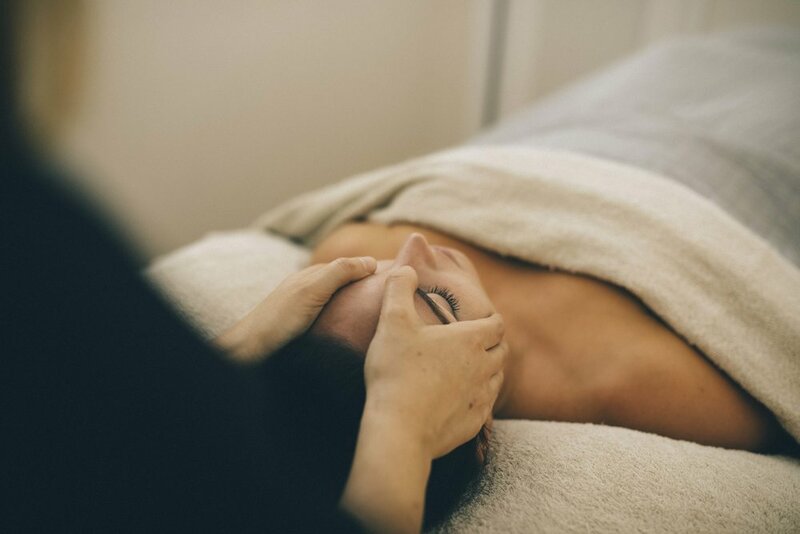 This facial is designed to rebuild the skin’s barrier and promote the natural healing response within the skin and body.